Step into the shadows of Gotham City's dangerous criminal underworld as Batman. 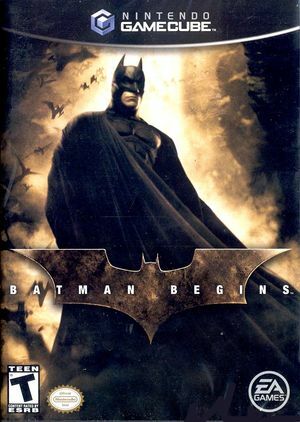 Based on the movie of the same name, Batman Begins lets you explore both the origins of the "dark knight" and his transformation into a superhero. As Batman, you must use your strength and an array of high-tech gadgets to fight the evil forces that threaten the city, including Scarecrow, Ra's Al Ghul, and Carmine Falcone. Batman Begins has a native 16:9 display option, but it requires enabling it in its internal options and setting Dolphin's Aspect Ratio graphics setting to "Auto". Using the widescreen hack with this title is not recommended. The graph below charts the compatibility with Batman Begins since Dolphin's 2.0 release, listing revisions only where a compatibility change occurred. This page was last edited on 16 January 2018, at 03:53.